Our July special is sure to please. 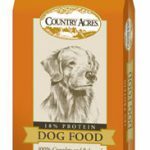 Purchase 5 bags of ANY horse feed at Argyle Feed & Hardware in July and receive free dog food, a bag of PMI Nutrition Dog Food. 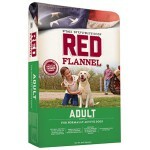 Choose from Exclusive, Red Flannel, Infinia or Country Acres. Limit 1 free bag per customer per month. Best of all you can choose from any of your favorite brands of horse feed including Bluebonnet, Nutrena, Thrive and Purina to name a few. Provide your name, phone number, and email address when you checkout in the store. You’ll have the option to signup for our FREE Horse Club and or Pet Club if you’re not already on the list. These clubs send you a monthly email with savings on horse products and pet products. Find out more about there here. 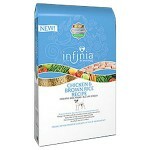 PMI Nutrition Pet Foods takes great pride in providing pet owners quality pet foods. 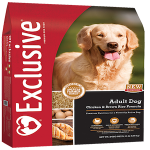 Through extensive research and investment, their brands have proven to exceed the recommended nutritional guidelines for your pets. Stop by the store today and grab your free bag. Must purchase 5 bags of horse feed. This entry was posted on Thursday, June 15th, 2017 at 3:33 am	and is filed under News & Updates, Specials. You can follow any responses to this entry through the RSS 2.0 feed. Both comments and pings are currently closed.